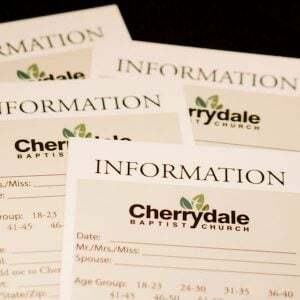 Cherrydale Baptist Church – Spreading a passion to love God and people above all else. God and people above all else. Study God's Word on discipleship, prayer, and ministering to refugees. We’d love for you to get connected to our church family! Join us on Sunday, Apr. 28 at 11:00 am in Room 230A; this informal class is designed for guests, regular attenders, and those pursuing church membership. Sunday, Apr. 28 at 12:30 pm. Join R & M and hear about their work overseas. Registration required by Wednesday, Apr. 24.